It would be very easy if there was one fridge for everyone. However, we all have different requirements and so you really have to shop around. A family of four is going to need something different to a student in a dorm. Most people can’t do without a freezer. You may gasp at the price tag, but in the long run this will really be worthwhile. For example, there are not many people who can do without ice. Small fridges and freezers may sound like a waste of money, but they really do come to a lot of good use if you think about it. Couples may not have a lot of things to store at first. Students certainly won’t have more than a couple of essential snacks that they want a fridge for. A family of four may already have something that they are satisfied with, but an additional fridge for their outdoor kitchen is always something that is useful. When summer is over and school season is in, school supplies are not the only thing that parents need to save for. Students that leave for university and college will probably be on the look out for dormitory supplies often include a a dorm fridge. However, before buying this, make sure you check the rules and regulations because some dorms don’t regard this as furniture that is allowed. Make sure you find out about the size that is allowed into the room as well. 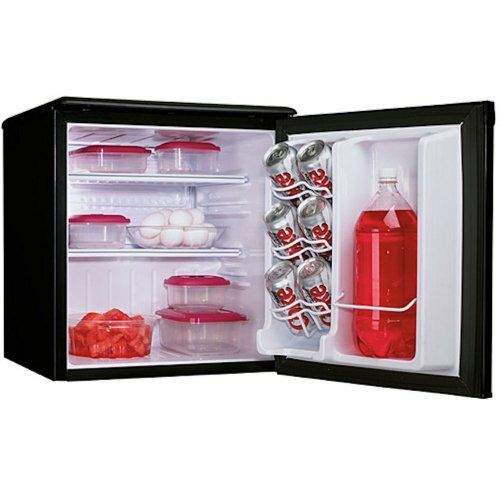 Students usually go for the mini refrigerator because this is perfect for canned beverages, sodas, chips and the likes. One can squeeze this into the corner of the room and it will look great. Glass fridges are one type of refrigerators that are not only elegant and presentable to look at, but also complement every home's interior design. Glass door refrigerators are typically seen in restaurants, bars, and the likes for visibility of drinks and cool choices. The glass obviously helps with practicality because you can obviously see what is going on inside. If you are trying to go through your grocery items, making a list, there is no need to open the door, every couple of seconds. This saves time and energy. This also saves electricity consumption. If you love to travel and it is perhaps your job to be constantly the go, then you may want to think about a fridge for your car. This will definitely prevent your water or sodas from heating up on a hot summer’s day. You won’t have to stop off every couple of hours for refreshment either. This is great for family camping trips where you need to keep everyone together. The fridge comes in all sizes and styles as well as brands to choose from. This is perfect for someone in a small kitchen and who wants to free up some space. This will fit under a counter and ensures convenience as well. On top of that, it is a good choice for kids or for people who are disabled because they may struggle reaching up . A lot of people go for this fridge because it is more affordable. However, if you are trying to provide for a larger family, then this would probably not be the best option. Choose something of a superior quality that is going to last. Make sure you measure beforehand, so you get the thing you are looking for. Lastly, the fridge consumes less energy so your energy bill every month will probably be cheaper. The next thing we come to is the size of your fridge. This is essential in order to make this a worthwhile exercise and something that will prevent you from buying something else sooner than you anticipated. The typical size of the refrigerator used in most homes is 18 to 26 cubic feet. Making sure you have the perfect size, will not only save a lot of money but you will also save a lot of space. Basically, you should be looking for something from 200-400 liters for 2 people. However, this would increase to 550 liters for a family of four. For 5 people sharing, you should be looking for anything over 450, depending on whether you are including small children, or whether you are sharing with other adults. The refrigerator is like a closet. Most of the time the space inside becomes cluttered with objects which you have not used and you are probably are not going to use. This needs to be sorted out every so often. This is even more essential than your closet, because this is how bacteria grows, so you need to keep this in mind. Use containers like tupperwares, which should be organized so that you stay organized. You could also just use plastic containers for storing your left overs. These should be marked, and you should also put the date on them so that you know what is going on. Keep you juice boxes and milk on one section and your meats on another section. Then keep your fruits and vegetables in another section. This is not only hygienic, but it is going to help you stay organized. Keep the fruits on the bottom shelf of the fridge. Put the eggs on the side. Buy yourself a basket for the freezer. These are very useful, and you can store all the fish, meat, and every other frozen type of food in here. This way the ice won’t mix with the aroma of the fish. You don’t want to serve cocktails with the smell of salmon! Now just throw away any empty cartons you can find – but, preferably you should recycle these.